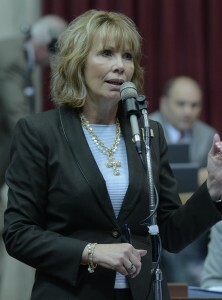 A bill that would set tougher tracking and accounting requirements for fetal remains after an abortion will be sponsored again next year by state Representative Diane Franklin (R-Camdenton). The measure would require that all tissue is accounted for, all is viewed by a pathologist, and a report on them must be issued and seen by the state Department of Health. The measure would also protect those who report possible law violations. “We want the fetal tissue to be handled properly, whether you agree with abortion or you don’t” says Franklin. Opponents of the bill say further restrictions are unnecessary, redundant and are meant to make it tougher to provide abortions. “I think it’s worth ensuring the integrity of the baby body parts. We wanted to protect those individuals who think that something might be going astray,” says Franklin. Her bill passed in the House this year but didn’t make it to the Senate floor.